I'm a software engineer in Shanghai, China. Since I bought a Raspberry Pi, I spent some spare time on it and I'm glad to share something with Pi users all over the world, so this article has two languages: Chinese & English, and I try to translate the Chinese to English as accurately as possible, but, there might be some translation mistakes, so if you don't know what I mean in the article, just leave a comment, and I'll reply when I get an answer. Also welcome to contact me via Email. 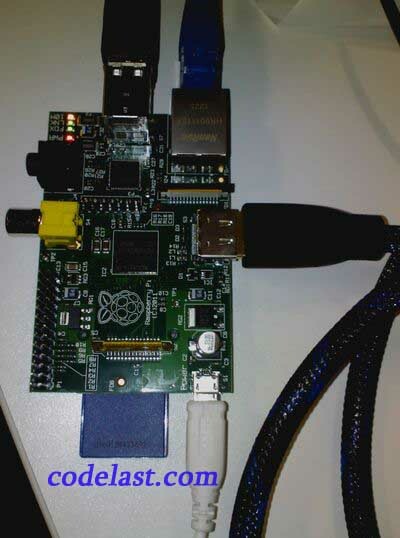 Write a simple C program by invoking the OpenCV library on Raspberry Pi to control a webcam to take photos & save them. Before reading this article, please make sure that you've read my another article about Pi configuration, because this article is based on that. This command will install the samples of OpenCV, too. So we can compile & run several samples to have a test after the installation. Plug the USB webcam into the USB interface of Pi might not able to make it work, even the driver has been available, because the current provided by Pi's USB interface may not be sufficient to drive a camera. You can learn to DIY a current-enhancement USB cable via this link, but the easier way may be buying a powered USB HUB and use it to connect the webcam & Pi. To make sure that the installed OpenCV related packages are "correct", I decided to run at least one of the OpenCV samples. Then the compiling will succeed. It also shows the use of a trackbar to control contour retrieval. Note that the 3 uncommented lines are added by me. In which the "192.168.3.65" is your Pi's IP address. After setting this, the sample could run without any error occurred, and a contours.xml file was generated under the same directory, which indicated that we succeeded. Now we should write a simple C program to control the webcam by using OpenCV. This program does a very simple job: initialize the camera, capture a frame & save it to a image file named "webcam.jpg". Then we'll get a "webcam.jpg" image file under the same directory, which is just the photo took by the camera. So the main purpose of this article has been reached. We can develop more useful programs base on it, e.g. a program similar to the Camera Girl, which implements the motion detection functionality. In the above process I met some unsolved problems and have no time to explore them yet, so I just write them down here for further study. HIGHGUI ERROR: V4L: Initial Capture Error: Unable to load initial memory buffers. HIGHGUI ERROR: V4L/V4L2: Could not obtain specifics of capture window. If you know something, please tell me and thank you in advance.